After 5 inch and 3.9 inch screen based A100 and A84 Elite, Micromax is now set to launch a new handset with a 4.3 inch screen, called A90. Micromax is going to unveil three new Android based smartphones tomorrow including the A100 and A84. The home grown mobile phone manufacturer is also set to launch a 4.3 inch Super Amoled totting smartphone, called Superfone A90. As The Mobile Indian had reported earlier, the Micromax A100 will have a 5 inch screen while the A84 Elite boasts a 3.9 inch IPS display. 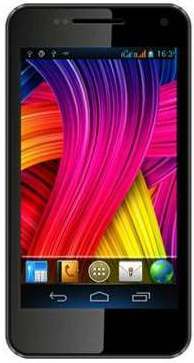 Micromax Superfone A90 will also get Android 4.0 like the two other. A90 will also have a 1 GHz processor, dual-SIM support, and an 8 megapixel camera with LED flash. The phone is expected to be priced at close to Rs 12,900, but the other two the A100 and A84 Elite are priced at Rs 9,999. Given that Micromax A100 is cheaper than A90 despite having bigger screen, it can confuse people as what to choose. The main difference probably comes from lower resolution of screen and camera and probably A90 getting a dual core processor while A100 getting a single core unit only. But this is our guess. The A84 Elite, on the other hand, has only a 3.9 inch display. Interestingly, this phone has similar specification as the A100, but has the same price as the later. But all in all, customers will be delighted to get more option that too at comparatively affordable price. The Superfone line has the biggest challenge from the Spice Stellar series and Karbonn Smart series of phones.